Just in time for Halloween, Jason and Gabe are celebrating all things MONSTERS in Star Wars! Join them as they countdown their top 13 monsters from the whole saga! Who did they pick from the Ewok movies, the read along books and how many are from the beautiful three way Attack of the Clones monster tag team?! Listen and find out!! PLUS: Great moments in Halloween Star Wars History (with drunk Ewoks), Is there a Halloween holiday in the Star Wars universe, Last Jedi stuff, rumors on possible Sammy Hagar & Mick Dundee cameos & more!! So put on your Snoke mask, ride the Rubber Chicken and celebrate the love with Blast Points! 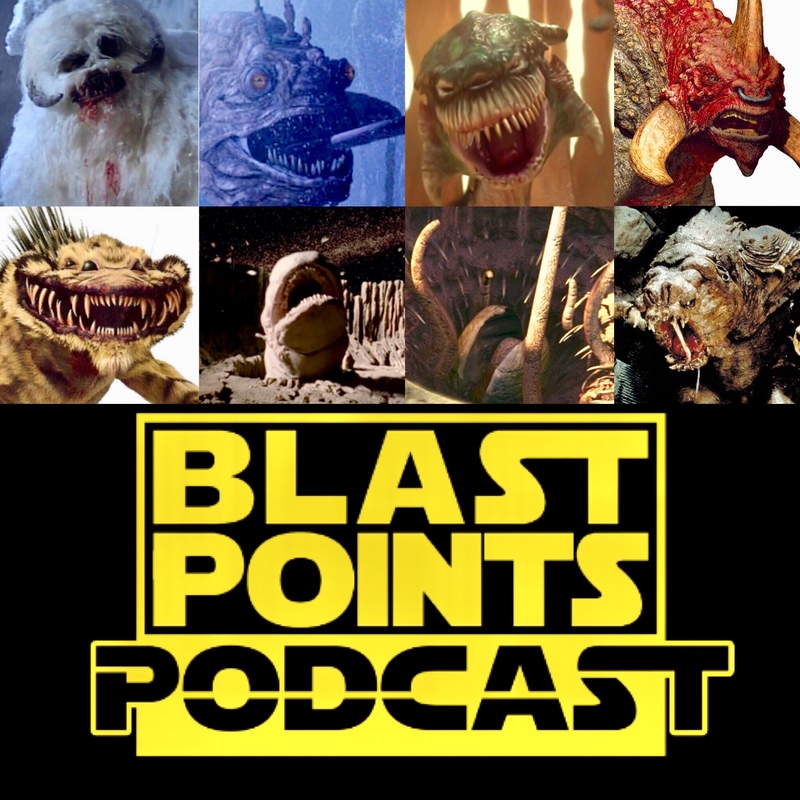 This entry was posted in Episodes and tagged halloween, monsters, rebels, the last jedi by blastpointspodcast. Bookmark the permalink.